pls buy manila bulletin today (feb 24) for your free copy of style weekend for men (out every last friday of the month)! 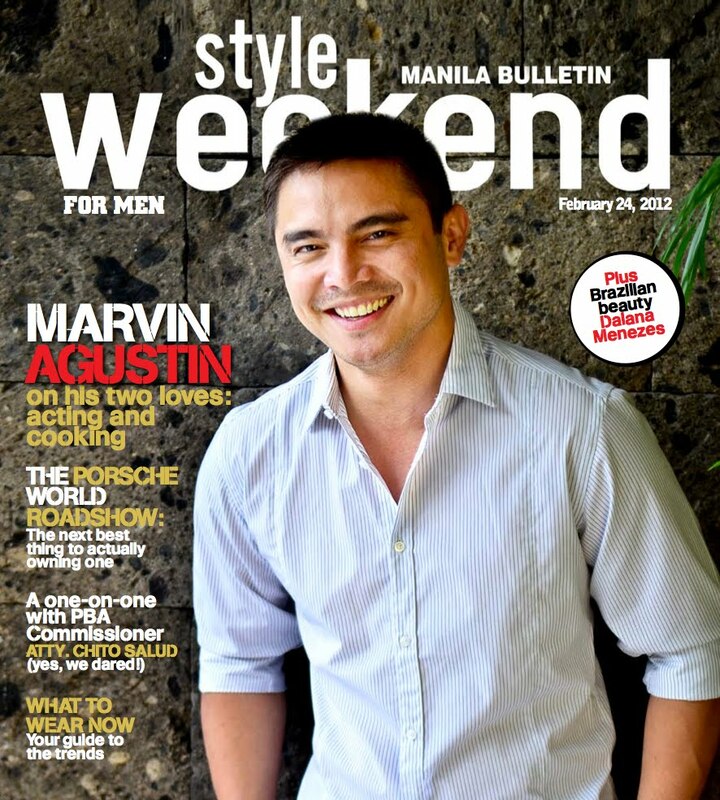 on the cover: award-winning actor marvin agustin who's just as famous for his cooking! photographed by mike manabat. also in this issue: taking on the porsche(s) at the world roadshow, exclusive interview with the PBA commish chito salud, guy's guide to s/s trends, daiana menezes centerfold, and more!